Agency honored by the NY Enterprise Report (NYER) for attracting and retaining an empowered workforce. It’s an exciting time at DGC. On Wednesday night, the team was honored at this year’s NY Enterprise Report Small Business Awards. This prestigious event honors the achievements and accomplishments of the more than 500,000 small businesses throughout the NYC-area. Selected as winners in the Leadership Category, the nomination was based on DGC’s ability to “identify, attract, retain and motivate a workforce that establishes a culture of empowerment.” And that’s exactly how we at DGC see it! 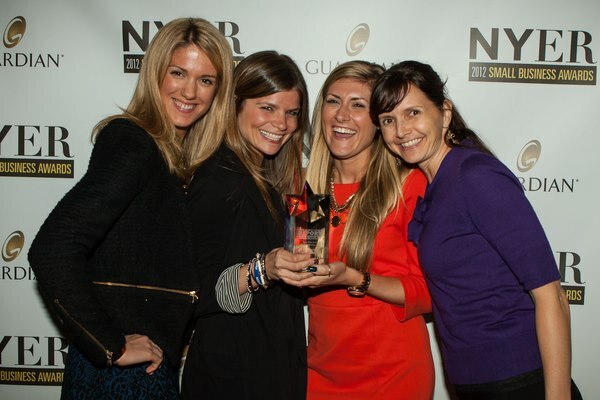 In fact, this isn’t our first rodeo with NYER—we picked up their Top 10 Great Entrepreneurial Places to Work in 2011; another great honor. The awards dinner was a great opportunity for us to meet, mingle and celebrate with the who’s-who of the tri-state’s SMB community. Succeeding in small business is no mean feat so a big congratulations also to our fellow nominees and winners. Earlier this week we found out that we have been named finalists in two Stevie Awards (the world’s premier business awards) categories and our fingers and toes are crossed for the November 9 announcement. Our nominations are in the Female Entrepreneur of the Year—Business Services with more than 10 employees and the Company of the Year—Business Services with more than 10 employees categories. Here’s to another great year at DGC.